Campbell Scientific designs and builds standard Automated Local Evaluation in Real Time (ALERT), ALERT2™, hybrid ALERT, and customised flood-warning systems. 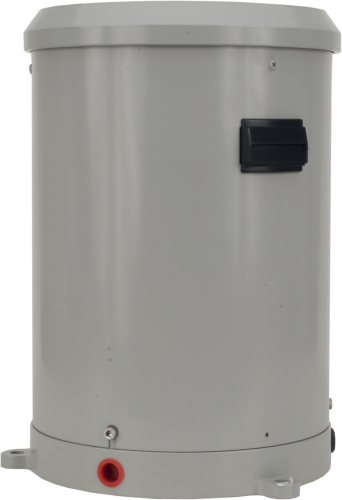 This includes a turn-key transmitter packaged in a traditional Event Reporting Radio Telemetry System (ERRTS) style canister for standpipe installation. The data loggers at the heart of our systems have been proven over decades in the harshest, most remote conditions. You can add our systems to an existing network of stations, or we can customise a system for your unique application. For customers currently using legacy ALERT systems, Campbell Scientific can provide assistance in the transition to ALERT2™. We offer a variety of products that can be used to create systems for Flood Warning (ALERT / ALERT2™). Many of the major components used to create these systems are listed below. Please let us know if we can help you configure a system. Our ALERT systems match all standard ALERT protocols, including ALERT2™. Our data loggers, proven in thousands of applications worldwide, provide multiple types of inputs (pulse, analogue, SDI-12, and others), which allow you to use almost any type of water-level sensor (including pressure transducers, shaft encoders, bubblers, and ultrasonic distance sensors). The onboard algorithms are able to calculate hourly and daily minimums, maximums, averages, totals, flow, or any other statistical value. These values can be stored onboard the system, providing you with a backup of the data. A solar panel provides continuous charge to the battery for your extended, unattended monitoring needs. If you need additional sensors to measure soil moisture, water quality, or meteorological conditions, it is easy to integrate them. We can upgrade older systems—even those from other manufacturers—with the latest data logger and transmitter, often allowing you to use the same sensors and standpipe or enclosure. The added performance of ALERT2™ systems makes them a logical choice for new systems and for upgrading existing networks. The main advantage is the ability to have larger networks and greatly reduced data loss. When you upgrade an older ALERT network to ALERT2™, you don't have to update the complete system all at once. Rather, you can complete the upgrade in phases to ease the cost and labor burdens. All the other functions and features of the original ALERT systems are still available with ALERT2™. Campbell Scientific equipment has been used for some of the largest and most widely used ALERT2™ networks in the country. For an example of the performance of these systems, read the "Texas: Transitioning to ALERT2" case study. Note: ALERT2™ is a trademark of the National Hydrologic Warning Council.